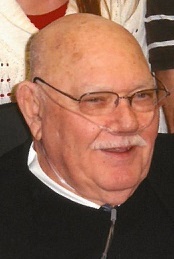 Obituary for Kenneth D. Abbott | Cromes-Edwards Funeral Home & Crematory, Inc.
KENNETH D. ABBOTT, age 81 of Sidney, passed away Tuesday, April 2, 2019 at 12:02 PM at Lima Memorial Hospital. He was born on October 11, 1937 in Wiberg, Kentucky, the son of the late Hiram "Shelby" and Mable "Iona"(Jones) Abbott. On November 22, 1961 Ken married Barbara (Shaffer) who survives along with 3 children, Kimberly (Tom) Patrick, Jennifer (Stewart) Lewis, and Steven (Doris) Abbott all of Sidney, three siblings, Ann (Don) Shaffer of Sidney, Lois (James) Roberts of Maysville, KY, and Ella (Robert) Inman of Stearns, KY, 15 grandchildren and 10 great-grandchildren. He was preceded in death by two brothers, Billy J. and Vernon "Tom" Abbott, and one sister, Mary "Ruth" Brown. Mr. Abbott was a graduate of Sidney High School. He retired as an auto mechanic from the local Ford Dealership and had previously worked at Stolle Corporation. He was a very active church member and had spent many years (20-30) serving as a Sunday School Teacher. He also served as a deacon. He was a member of Calvary United Baptist Church in Sidney. Funeral Services will be held Monday, April 8, 2019 at 10 AM at Calvary United Baptist Church, 9480 CR 25 A in Sidney, with Pastor David Shepherd officiating. Burial will follow at Shelby Memory Gardens in Sidney. The family will receive friends on Sunday from 2 to 5 PM at the church. Arrangements are in care of Cromes-Edwards Funeral Home.